Since joining Takeda in 2016, “I’ve seen first-hand how the company never loses sight of patients and how the teams keep patients at the center of everything they do,” Baris reflects. “But it’s also about how we’re empowered to make a visible impact and take charge of our careers,” he adds. In 2016, Baris started his Takeda career in the Market Access function. Market Access helps communicate the value of Takeda’s products to stakeholders who advise on access and purchasing decisions. It also supports the marketing and distribution of products. Prior to joining Takeda, Baris held similar positions at two other large pharmaceutical companies. He is confident that “Takeda is going in the right direction” and this was a big factor in him deciding to join the company. 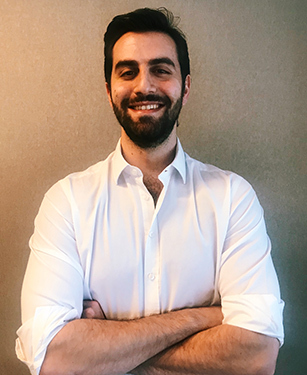 Within his first few months, Baris made more stakeholder appointments as a Takeda Market Access Partner than he had in all of his prior positions combined! He attributes this to the encouragement of his manager, who recognized his potential and encouraged him to take the lead in meetings and visits. “At the end of the day, the outcome and benefits are much greater when you empower your employees,” Baris says — and that’s evident at Takeda. As a new employee, he soon discovered that Takeda was “amazingly efficient in decision making and stakeholders were surprised at how quickly we can move.” He applied this approach to his role by developing and implementing reimbursement strategies. Through his innovative efforts and with support from his manager, he was soon able to get a product reimbursement launched ahead of schedule. This allowed Takeda to get treatments into the hands of patients sooner, which amply demonstrates that “Takeda never forgets the core of patient-centricity,” says Baris. More than a Number. Takeda is about People. The saying, ‘it’s a small world’ rings true within the pharmaceutical industry. Not only has Baris worked at several big competitors, he also has a strong network of friends that work in the sector. So, what is the biggest difference from one company to the next? For Baris, it’s that each company has a different set of values. For some, the values are all about the numbers and the bottom line. For others, the values are just words.